On March 28, the world will be honoring that most majestic of keyboards – the piano. Built for the first time on the early 1700s, the piano is one of the most widely used instruments, and many children who begin music lessons often start on the piano. 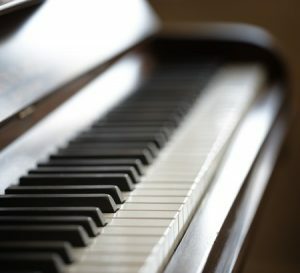 In most music schools and conservatories, the piano is a required instrument, even if you major in a different instrument. And, of course, the piano has always been used as an accompaniment to other instruments. On Piano Day, there will be celebrations, concerts, and other events all across the world. You can expect to find exhibits depicting the piano’s evolution and history, and biographies of most important people in the piano’s development, including contemporary piano craftsmen. There will be instruction and lectures available on the piano’s construction and the many ways it is used. Concerts will present works both old and new, some having their world premieres on Piano Day. Full orchestras and chamber orchestras will accompany piano soloists, and a vast variety of different types of piano compositions will be played, including concertos, solo pieces, duets, trios and quartets. All these show the versatility of the piano as both a solo instrument and an accompanying one. You will hear pianos being played in churches, schools and concert halls, experiencing the piano with all different kinds of acoustics, and young new composers can experience the fullness of their compositions, as both professional and amateur instrumentalists bring them to life. Piano Day, held on the 88th day of the year in recognition of the 88 keys on a piano, is a great opportunity for all kinds of musicians to play amazing music, with the piano as the featured celebrity. For more on this worldwide event, visit the Piano Day website or like Piano Day’s Facebook page and check out all of the updates throughout the month as musicians from around the world join in the celebration. ← Why Do Piano Strings Rust?